Doris Mary (Campanini) (Bagge) Burke, 80, passed away Sunday, March 31, 2019 at the Signature Healthcare Brockton Hospital after a long illness with her loving family by her side. Born February 14, 1939 she was the daughter of the late Erminio and Angelia (Melli) Campanini. A longtime resident of Brockton, Doris graduated from the former St. Patrick High School and the Brockton Beauty School Academy in 1959. She is survived by her three sons; Mark Alan Bagge of Bridgewater, Eric James Bagge of Middleboro and Christopher David Bagge also of Bridgewater; grandchildren, Aleah Bagge of Taunton, Aidan Bagge of Halifax and Emma Bagge of Whitman; great grandchild, Vincent Bagge of Taunton; sister Lorraine (Campanini) Kuplast and by many loving cousins, nieces, nephews, and friends. She was also the wife of the late Alan David Bagge and Daniel James Burke. 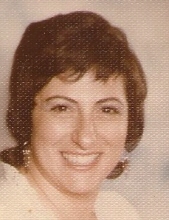 Doris is predeceased by her brothers, the late Leo Volta and Robert Campanini. A funeral Mass will be celebrated for the repose of her soul on Wednesday, April 10, 2019 at 9:00AM in St. Thomas Aquinas Parish, 103 Center St., Bridgewater, MA 02324. Interment will follow in St. Thomas Aquinas Cemetery, Bridgewater. "Email Address" would like to share the life celebration of Doris Mary (Campanini) (Bagge) Burke. Click on the "link" to go to share a favorite memory or leave a condolence message for the family.